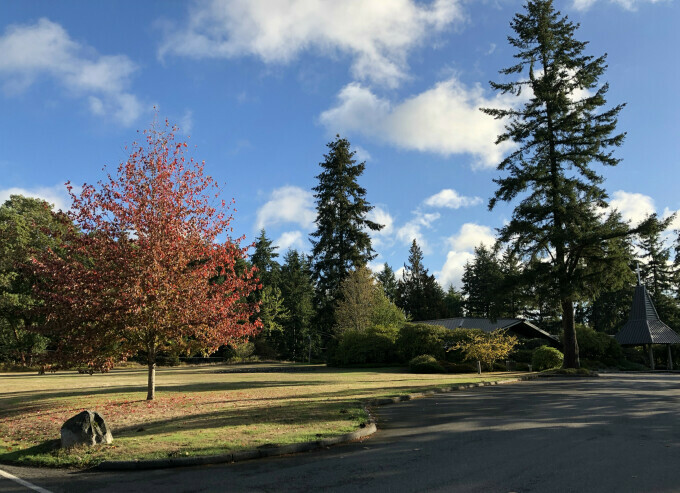 Please set aside the afternoon of Saturday, April 6, as our friends from the Church of Steadfast Love at the Compass Center in Seattle come join our work party to clean up after the storms. We need people with saws and chainsaws. The work party takes place from 2:30 to 4:30 p.m. Pastor Kristy Daniels then will preach at the 5 p.m. service. And after worship, we’ll enjoy a well-earned wonderful spaghetti dinner and fellowship. On Saturday, our own Sylvia Cauter directs the North Kitsap High School choirs in "New York, New York," a jazz fundraiser and auction, at 6:30 p.m. at Poulsbo First Lutheran Church. The cost is $15 per person, well worth it. Please plan to attend.